How going off the grid can help you achieve the cleanest water. Going off the grid may sound a little bit strange, but when it comes to water systems, it may be your best bet. “Off-grid” water systems, such as wells, are proving to be the best way to achieve the cleanest, healthiest drinking water at home. 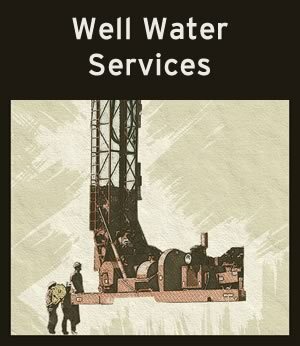 Find out how you can benefit from installing a well on your property. You would be surprised how many contaminants have the potential to show up in your tap water at home. This water is of course carefully tested, but human error is always a possibility. There are maximum levels of contaminants, with permitted maximum levels of concentration, which are allowed in the water and not all of these maximum levels are set to zero. You could potentially be exposed to germs which could cause pneumonia and gastrointestinal illnesses – and this is from the water you have to pay for. When you have your own well, the water on your property becomes your own to access whenever you need it. You don’t need to pay for it or ask for anyone’s permission to use it (apart from the permit you may require to build the well in the first place). You have the power to monitor the quality of your water whenever you want to, or even hire professionals to come and check on it for you with their added expertise. Your well can be fitted with a filtration system, so you know your water is clean and pure. Experts will ensure the system is running perfectly at all times and is well maintained. You will even have access to a full water analysis service, meaning a professional will come out and test the water to ensure the highest quality possible. When you have a well water system on your property, you alone have access to that water. This means even during water restrictions you can continue to use the water you need, whenever you need it. Plus, it’s free. When you’re ready to take back the power, get in touch with Hydro Solutions and we can assist you in installing your very own well on your property. We have every solution available in ensuring your water is the purest it can possibly be, with our water softeners, water purification, reverse osmosis (RO systems) and much more. Contact us today to find out more.